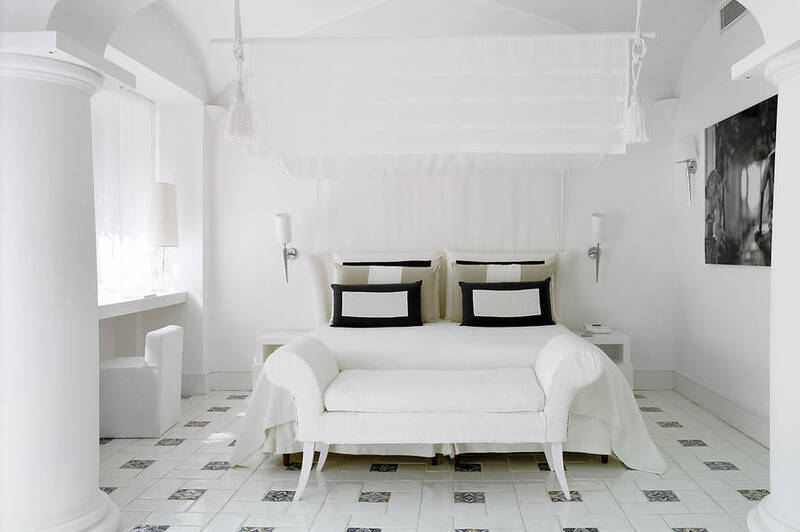 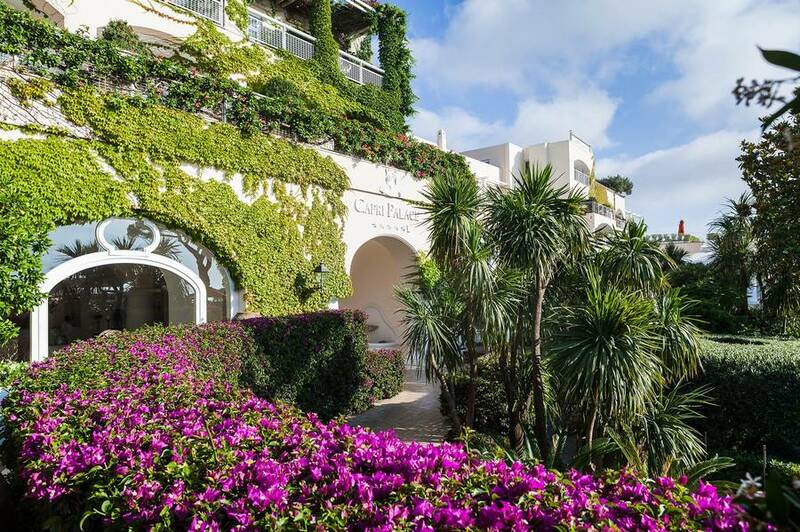 Capri Palace Hotel-Spa Capri: 3 reasons to book here | Capri Booking. 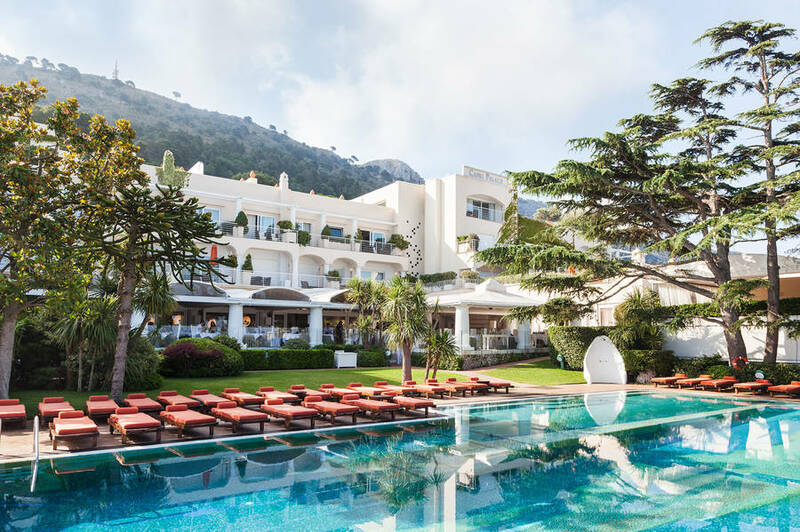 Luxury, Mediterranean style is the inspiration and driving philosophy at the iconic Capri Palace Hotel and Spa, one of the most recognized symbols of elegant island hospitality in the world. 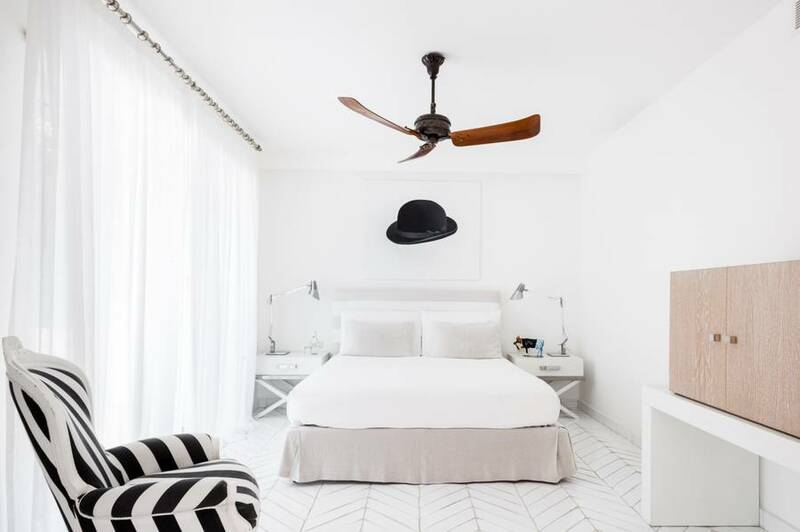 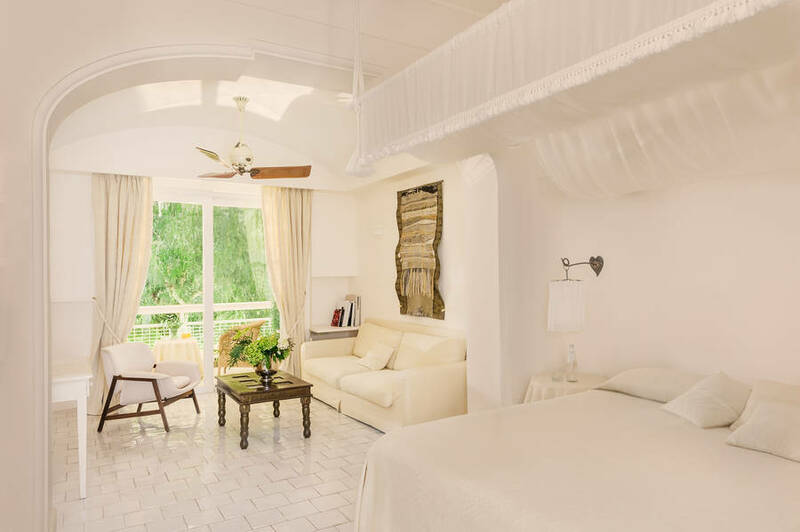 This five-star deluxe property is known for its understated indulgence, warm hospitality, and leisurely atmosphere, where the pace is measured and the mood relaxing. 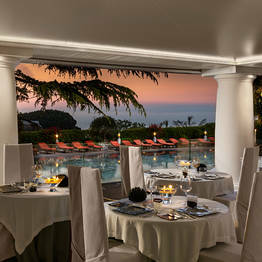 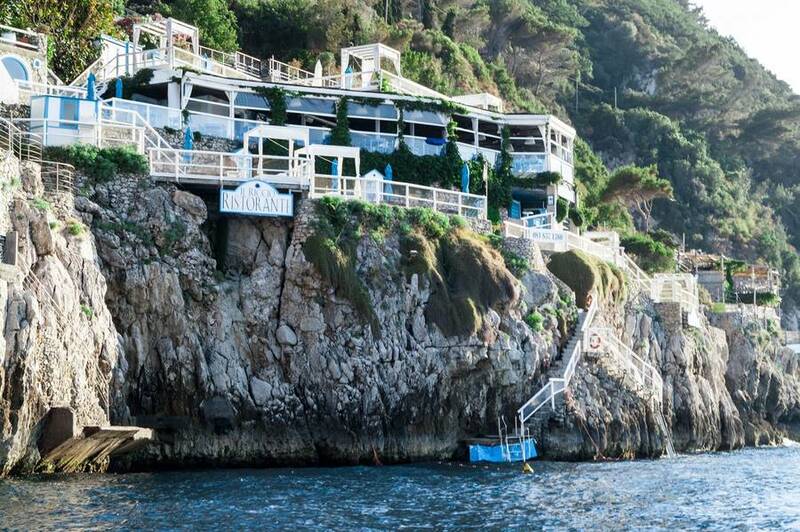 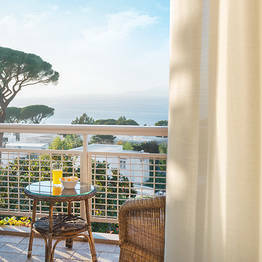 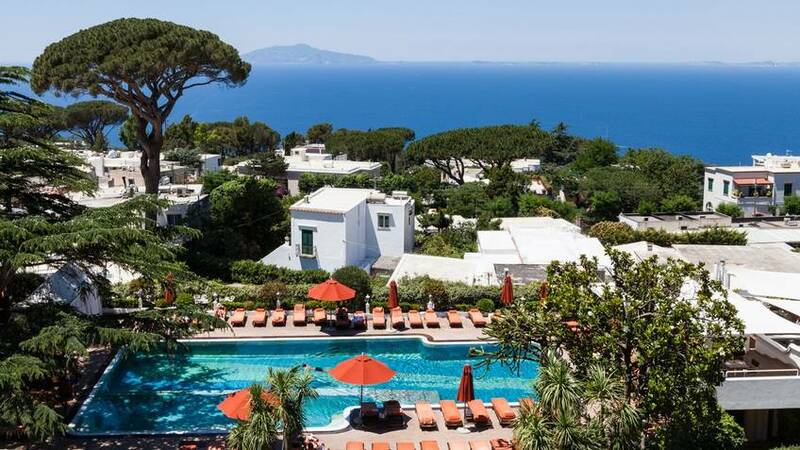 With its spectacular suites with pool and garden, two gourmet restaurants, a world-famous spa, a unique contemporary art collection, a fleet of luxury boats and a full-service beach club right next to the Blue Grotto, Capri Palace Hotel & Spa is for those who won't settle for anything less than the best. 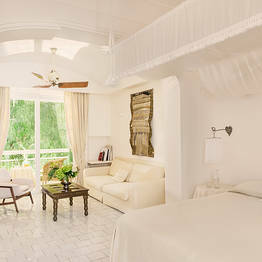 The ideal retreat to pamper body, soul, and mind. 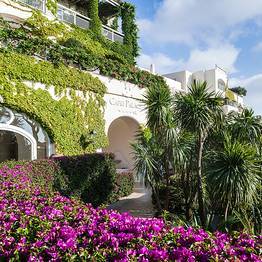 Part hotel, part art gallery: Capri Palace Hotel & Spa provides the luxurious backdrop for a stunning collection of works by renowned contemporary artists, including Arnaldo Pomodoro, who created the “Rive dei Mari” installation for the hotel's entrance, and Giorgio Tonelli, who painted the private pool floors for the suites. 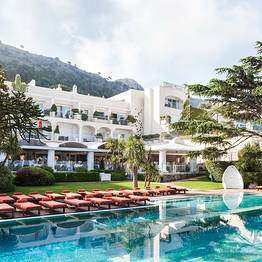 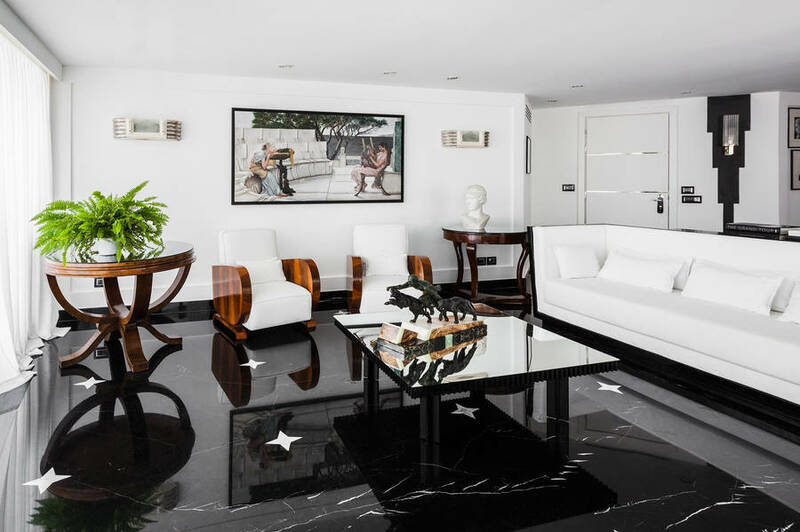 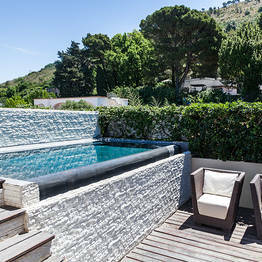 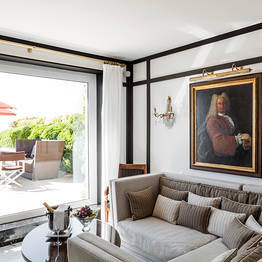 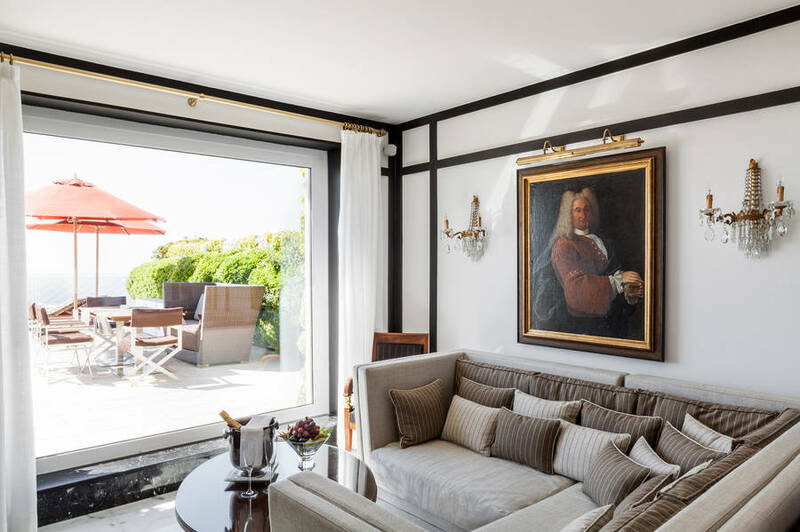 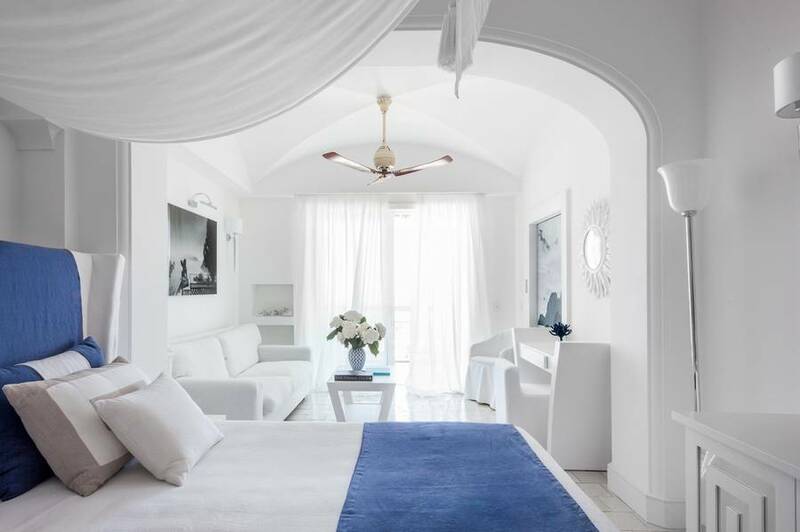 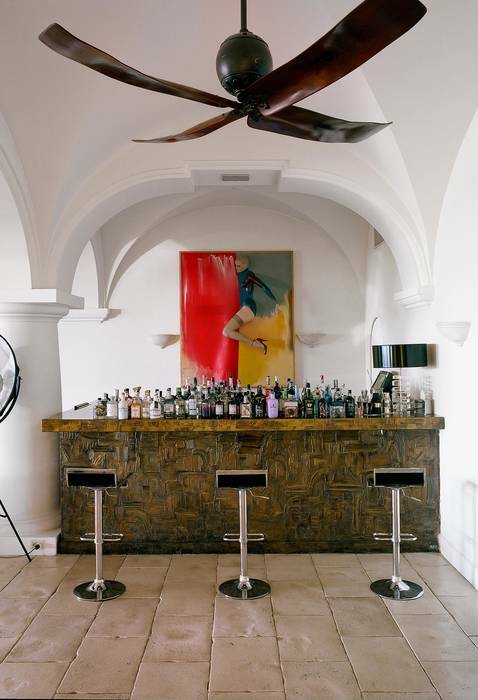 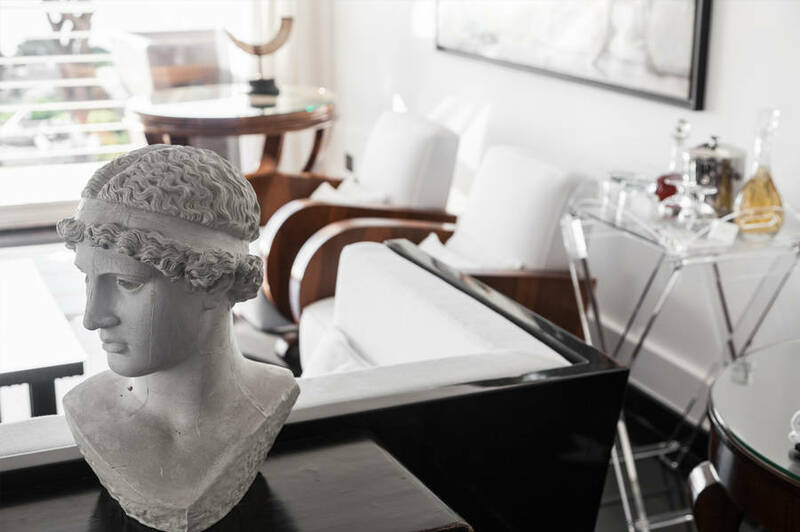 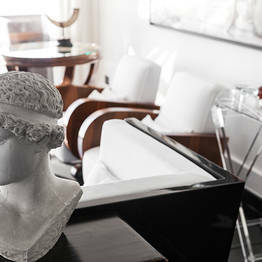 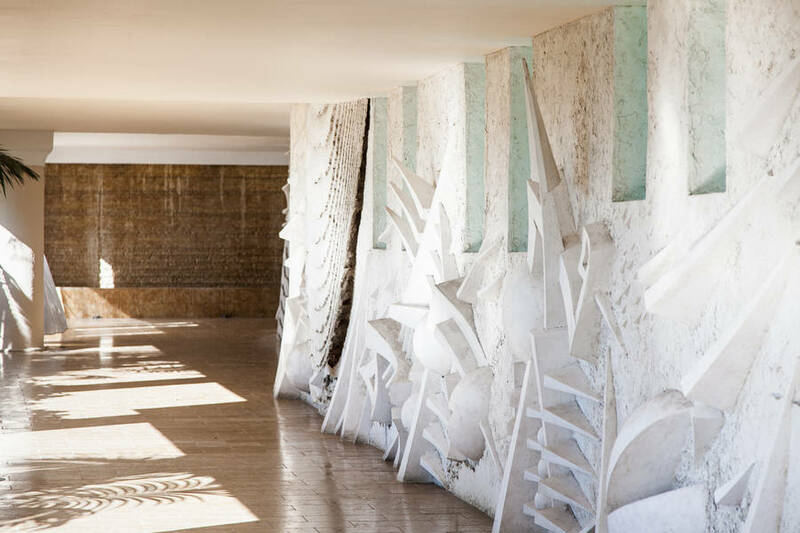 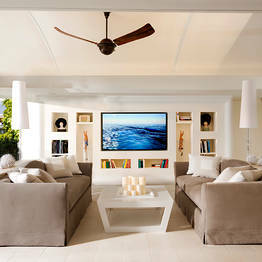 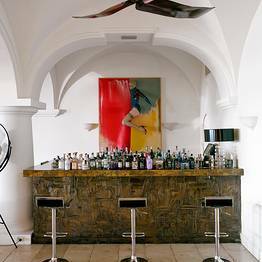 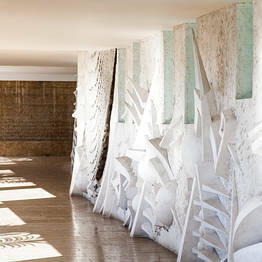 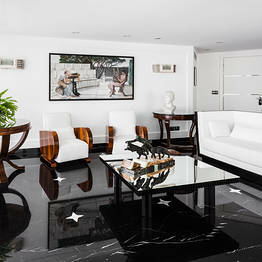 The hotel is also home to paintings by Schifano and sculptures by Mimmo Paladino, making a stay at Capri Palace a unique way to experience art rather than simply another holiday. 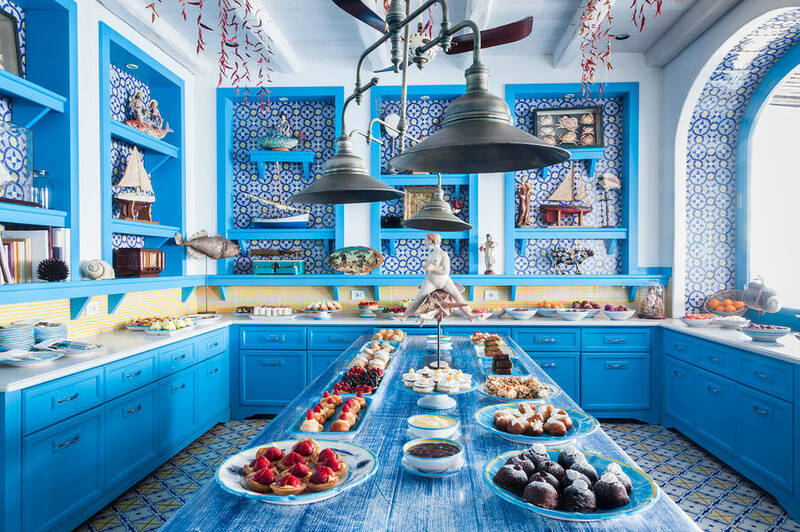 Mediterranean cuisine with a creative twist? 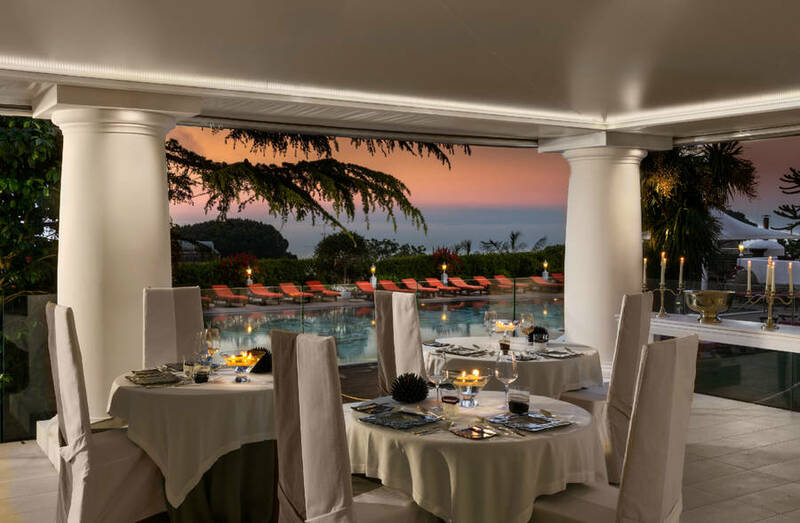 You'll be spoilt for choice at Capri Palace which has not one, but two Michelin-starred restaurants: L'Olivo is the only restaurant on the island with two stars, and Il Riccio is the beach club restaurant set on the water's edge near the Grotta Azzurra. 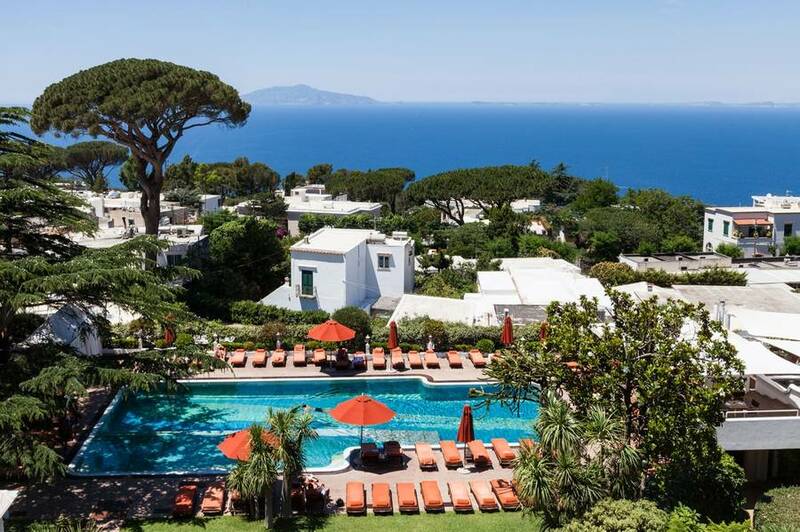 Ever since the Ancient Romans chose Capri for its clean air and for its waters rich in healing properties, the island has been a haven for those seeking health and happiness. 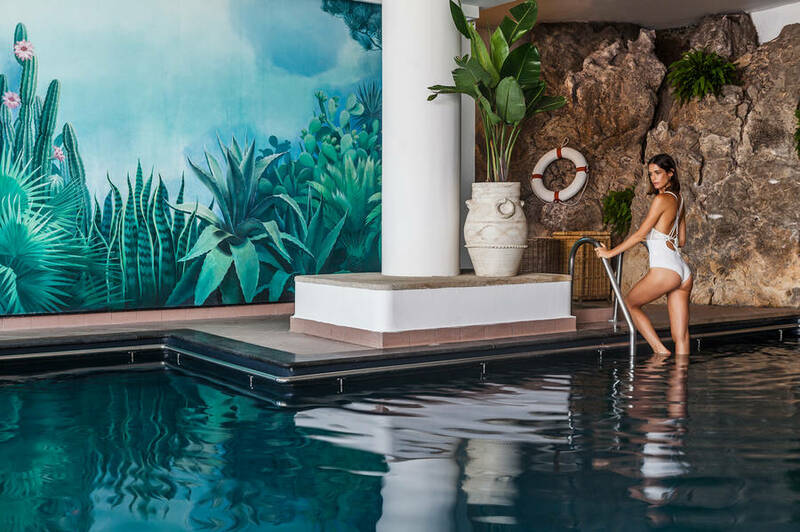 It's not surprising then that Capri's most exclusive hotel happens to have the island's only curative spa, directed by Dr. Canonaco with a team of 30 professionals from a number of different specializations, but all using a holistic approach to wellness. 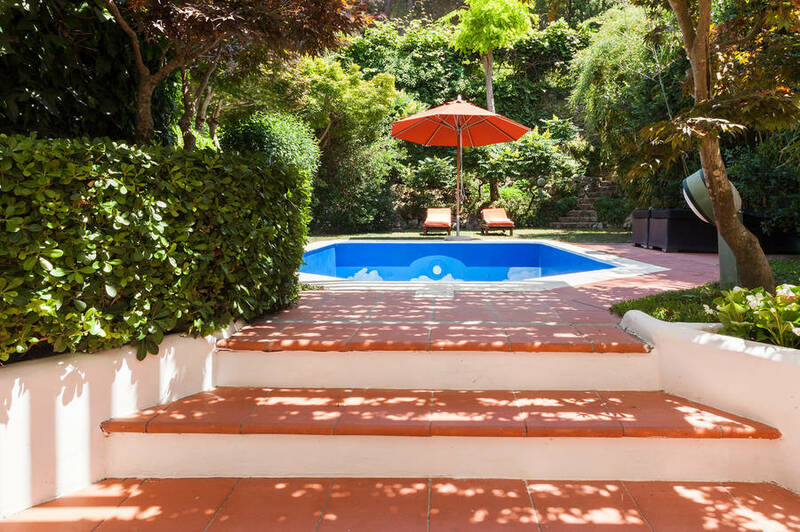 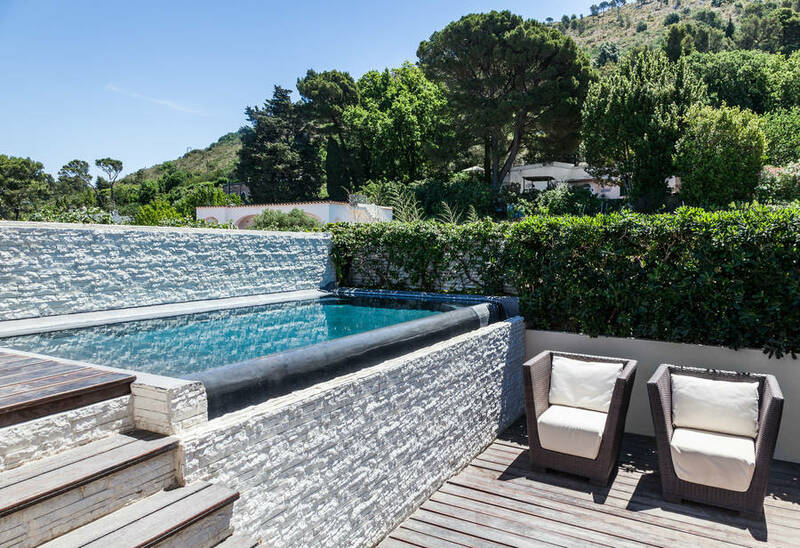 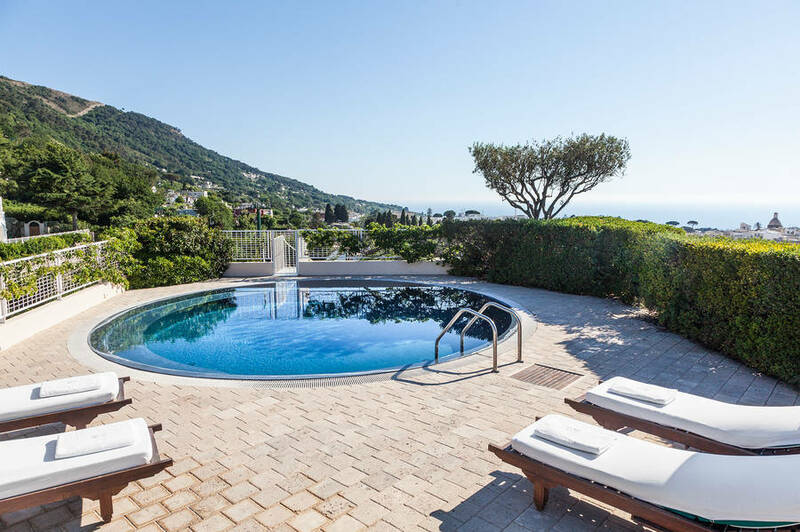 The award-winning Capri Beauty Farm is famous throughout the world for its Leg School, which offers programs to aid circulation, reduce swelling, and control cellulite. 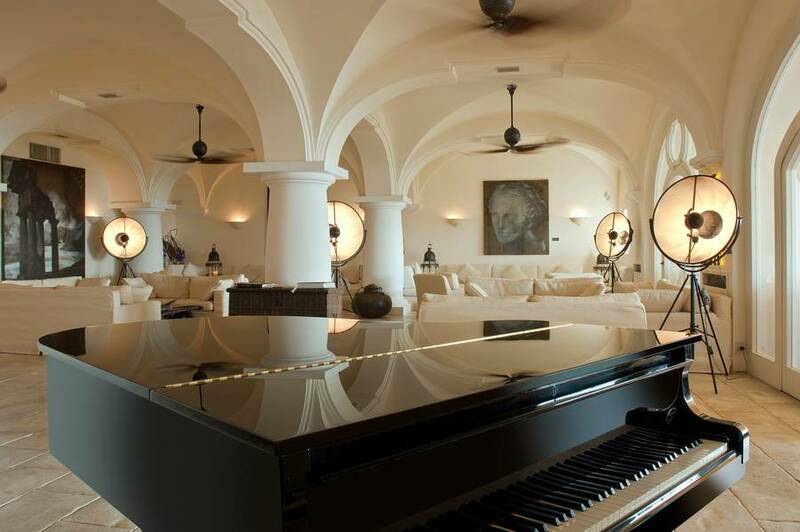 A number of Hollywood celebrities are satisfied former clients! 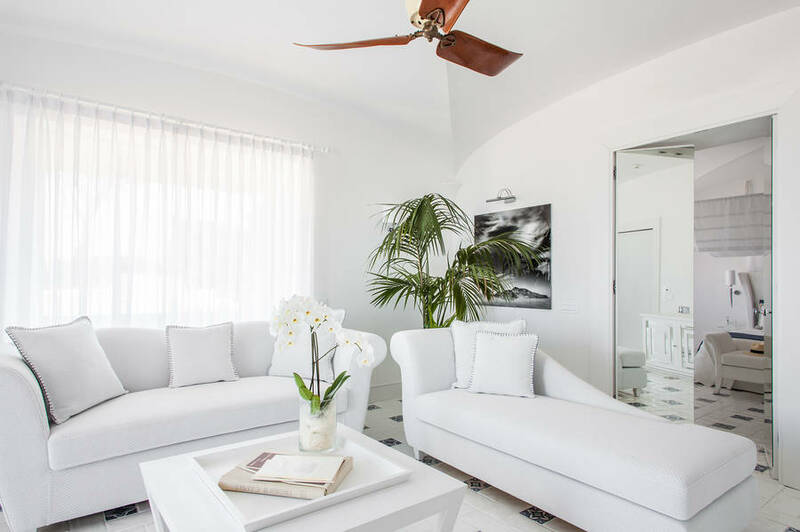 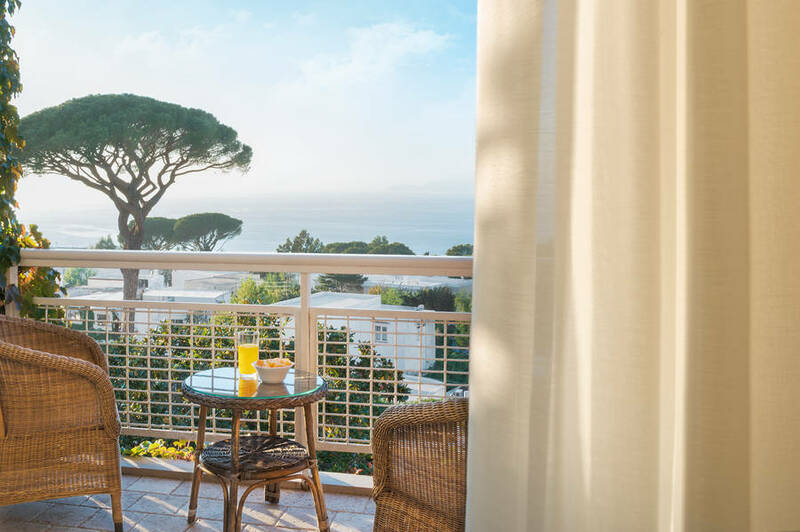 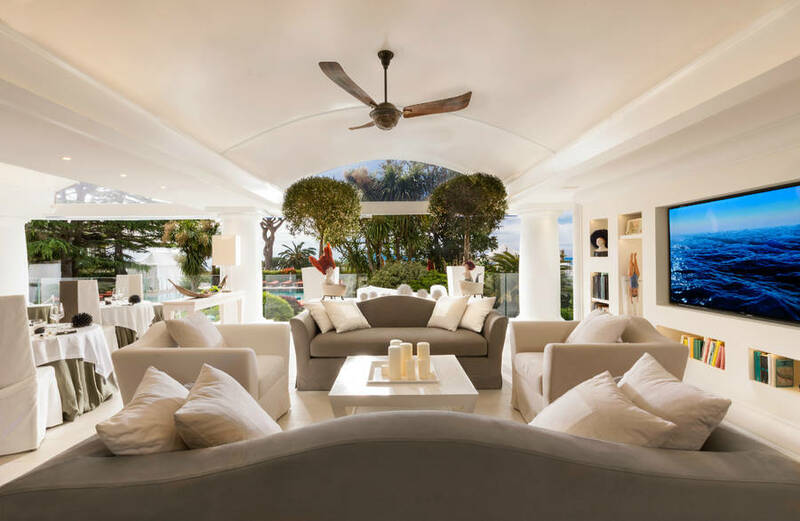 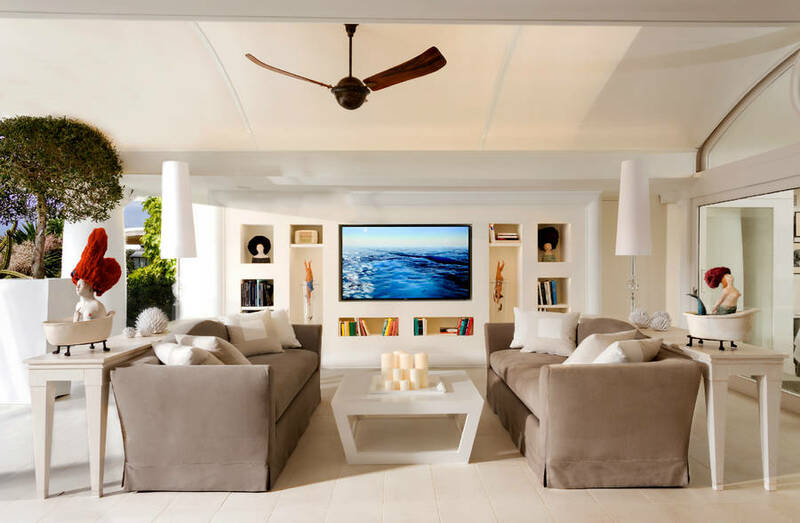 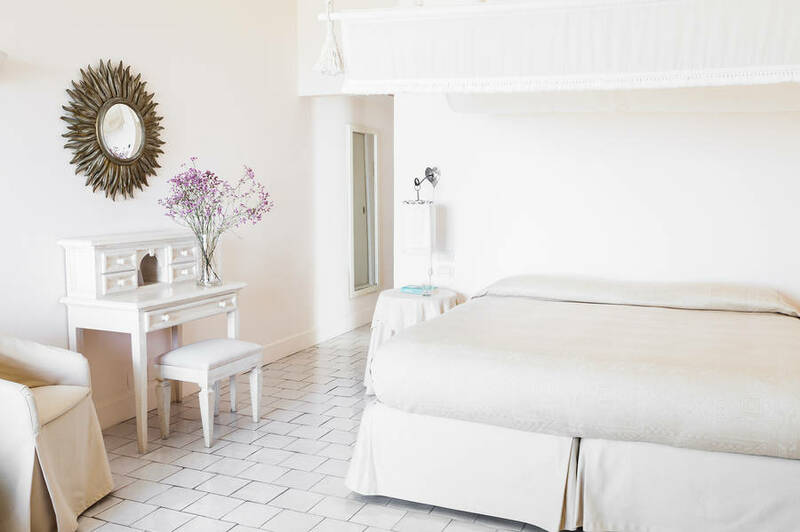 Capri Palace is part of the Mytha Hotels group, a number of selected hotels that share a Mediterranean sense of hospitality and holistic approach to wellness. 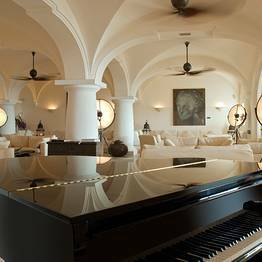 "The service is exactly what you would expect from a five star luxury hotel, with a pleasing touch of additional courtesy." 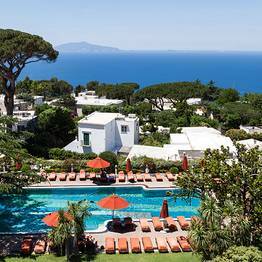 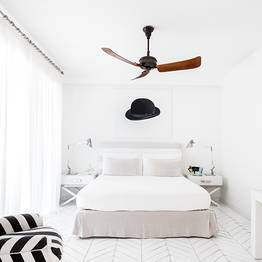 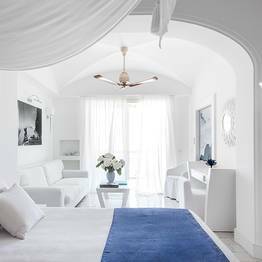 "After a vacation in a hotel like this, it's really hard to return to everyday life: without doubt one of the best hotels, not in Capri - but in the whole world." 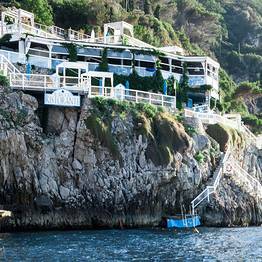 "At the Riccio restaurant guests enjoy some of the finest fish cuisine in Italy. " 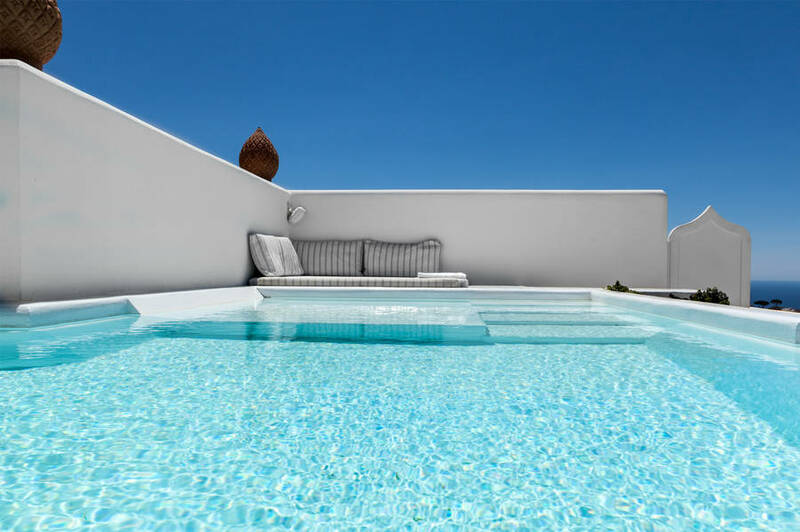 "The swimming pool is spectacular. " 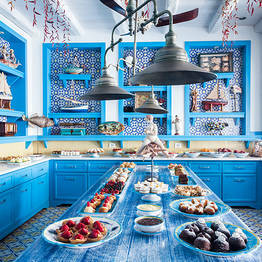 "Breakfast is always a major event, given the quality and quantity of the delicacies on offer. " 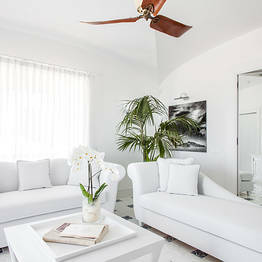 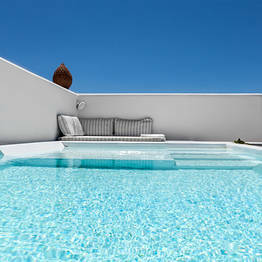 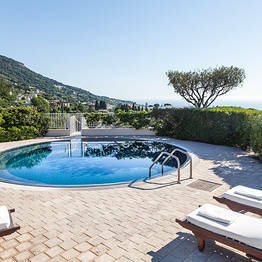 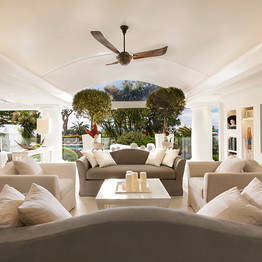 Book Capri Palace Hotel-Spa on Capri.com now with no additional booking fees.